Have you ever wanted to link to a website from your video, or allow viewers to replay or skip certain sections? Interactive hotspots can direct viewers to another section of your video, give them the option to replay, or even launch a website. 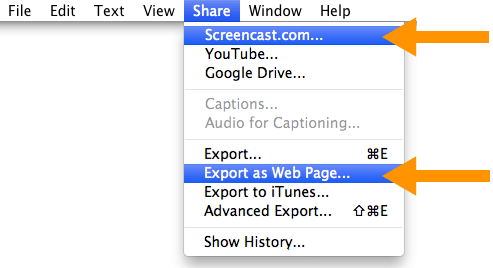 In order to utilize this feature in Camtasia for Mac, you have to share to Screencast.com, or choose the Export as Web Page option. First, it's important to understand that a hotspot is an effect, and so it must be applied to an asset already added to the timeline. 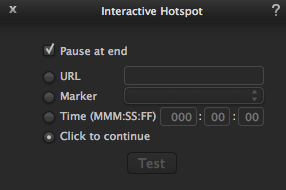 Click and drag the Interactive Hotspot effect from the Video FX tab onto the timeline or canvas to the desired media clip, shape, callout, or text annotation. Pause at end: Viewer must click the hotspot to continue viewing the video. URL: Opens a web page when clicked. Enter the web address and press Tab or Return on your keyboard. Marker: The video jumps to a marker in the video. Select a marker from the dropdown. Time: The video jumps to a specific frame. Enter the frame to jump to Minutes:Seconds:Frames. Click to continue: The viewer must click the callout to continue viewing the video. Share your video to Screencast.com or choose the Export as Web Page option. These are the only sharing options that support interactive hotspots. 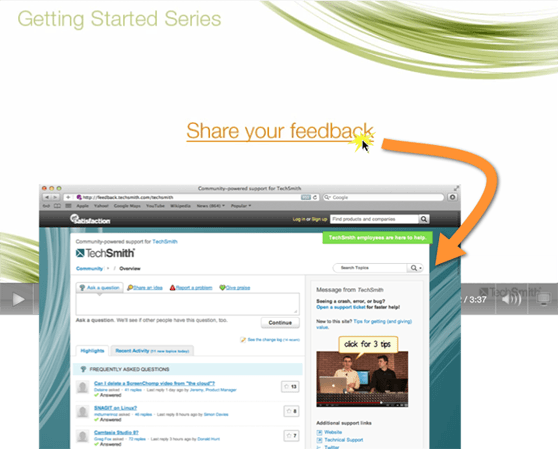 If you do not have a Screencast.com login, sign up for a free account.